Raman Sankar is a graduate of the University of Bombay, India and obtained a PhD in Medicinal Chemistry at the University of Washington in Seattle. 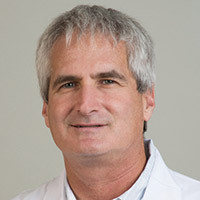 After several years as a faculty member, he decided to study Medicine and attended Tulane Medical School in New Orleans. Dr. Sankar founded the Developmental Research Laboratory in the Division of Pediatric Neurology, which is now directed by his collaborator, Dr. Andrey Mazarati. The laboratory pursues basic scientific research on topics ranging from seizure-associated brain injury, the process by which the brain may lead to the development of epilepsy, and in recent years, the mechanisms linking epilepsy with a number of neuropsychiatric disorders such as depression, ADHD, and autism. 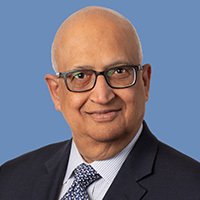 Dr. Sankar also participates in a number of clinical trials with members of the faculty, has edited several text books on epilepsy and is the author of more than 200 research articles, invited reviews, book chapters, and editorials. Rujuta Bhatt Wilson is a Pediatric Neurologist specializing in behavioral neurology, with specific focus on autism spectrum disorders, and related neurodevelopmental disorders. She is an Assistant Professor in Pediatric Neurology and Psychiatry. She is also a faculty member in the UCLA Center for Autism Research and Treatment (CART) general pediatric neurology, autism, and related neurodevelopmental disorders. 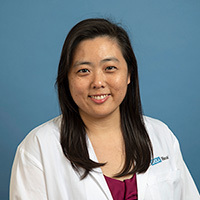 She is a Clinical Instructor in Pediatrics and Pediatric Neurology at UCLA Mattel Children’s Hospital and also a Behavioral Child Neurology Fellow working with Dr. Shafali Jeste within the UCLA Center for Autism Research and Treatment (CART) and the Jeste Lab. After completing a combined BA/MD program at The George Washington University School of Medicine and Health Sciences, Dr. Wilson completed residency in pediatrics and child neurology at UCLA Mattel Children's Hospital. Her interest and research in neurodevelopmental disabilities and neurogenetics began in medical school. Dr. Wilson was awarded a grant from The Child Neurology Foundation and the recipient of the W.T. Gill Summer Research Fellowship to study brain malformations and cognitive profiles of patients with Neurofibromatosis Type 1 (NF1). Dr. Bhatt also gained clinical expertise with this population by working in the NF1 Multidisciplinary Clinic at Children’s National Medical Center. Meeryo Choe grew up in the Los Angeles area, traveled east to attend Amherst College, and then returned to L.A. to attend medical school at USC. She came to UCLA in 2004 for her pediatrics residency and child neurology fellowship. After completing training, she decided to combine her personal interest in sports and professional interest in the developing brain together as a Neurotrauma/Sports Neurology Fellow with Dr. Christopher Giza. In clinic, Meeryo has been seeing patients with traumatic brain injury, with a focus on sports-related concussion. Her clinical and research interests include post-traumatic headache/migraine, gender differences in outcome after concussion, and dysautonomia. An avid equestrian competing in show jumping and former swimmer, Meeryo also coaches at a local high school giving her a unique perspective on an athlete's desire to return to his/her sport and the outside pressures they might experience. Christopher Giza graduated from Dartmouth College, received his M.D. from West Virginia University and completed his internship at the University of Pennsylvania. Dr. Giza then trained in Adult and Pediatric Neurology at UCLA, after which he worked on the Yosemite Search and Rescue Team. In 1998, he returned to UCLA and joined the Brain Injury Research Center. His research interests include neuroplasticity, recovery from injury, sport-related concussions, post-traumatic epilepsy and brain development. Dr. Giza leads the Pediatric TBI/Sports Concussion program at UCLA. He served as Vice-Chair for the California State Athletic Commission, traveled to Afghanistan in 2011 as a civilian advisor to the Department of Defense and Co-Chaired the American Academy of Neurology's committee which developed an evidence-based Practice Guideline for Management of Sports Concussions in 2013. He serves on the Center for Disease Control's Pediatric mild TBI committee, the NCAA Concussion Task Force and the Major League Soccer Concussion Program Committee. 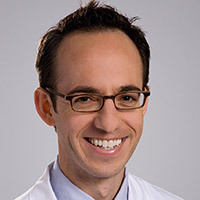 He is currently a Professor of Pediatric Neurology and Neurosurgery at the David Geffen School of Medicine and UCLA Mattel Children's Hospital. Shaun Hussain studied psychobiology as a UCLA undergraduate prior to attending medical school at the Albert Einstein College of Medicine in New York. 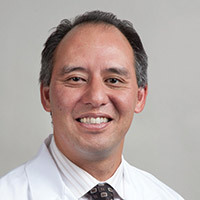 After completing his medical studies and graduate training in clinical research methods, he returned to UCLA to complete residency training in Pediatrics and Neurology, as well as fellowship training in pediatric epilepsy and clinical neurophysiology. As Director of the UCLA Infantile Spasms Program, the focus of his clinical and research endeavors is infantile spasms (West Syndrome) and other severe forms of childhood epilepsy. Dr. Hussain serves on the National Infantile Spasms Consortium and is the recipient of the Epilepsy Foundation Care and Cure Fellowship Award and the Epilepsy Therapy Project Young Investigator Award. Jason Lerner graduated from Trenton State College and received his M.D. from The University of Medicine and Dentistry of New Jersey. His training included: a residency in pediatrics at Penn State Hershey Medical Center, a residency in child neurology at Albert Einstein College of Medicine and a fellowship in pediatric epilepsy at UCLA. 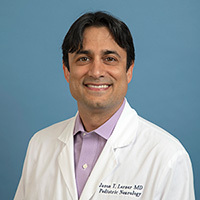 Dr. Lerner has been on faculty at UCLA since 2006 and held multiple leadership positions including Director of the Child Neurology Residency Program and Director of the Pediatric Neurophysiology Lab. Currently he is the Associate Chief of Clinical Pediatric Neurology and the Director of the Adolescent Epilepsy Center at UCLA. He splits his time between clinical work, research and administrative duties and is also actively teaching and mentoring fellows, residents, medical students and undergraduate students. His research interests include: adolescent epilepsy, comorbidities associated with epilepsy and epilepsy surgery. Dr. Lerner has over 50 publications and abstracts. Lekha Rao grew up in the Bay Area but left sunny California to study Neuroscience at Johns Hopkins University in Baltimore, Maryland. After graduation, she stayed at Johns Hopkins for a year working in pediatric movement disorder research. She then went on to attend medical school at Drexel University in Philadelphia, finally returning to California for pediatric residency, child neurology, and pediatric epilepsy fellowship at UCLA. Lekha's research interests include neonatal seizures and seizures following hypoxic-ischemic injury. She currently sees patients both in Westwood and Santa Monica and also runs a free neurology clinic monthly at the Venice Family Clinic. Pantea Sharifi-Hannauer was a former college student at UCLA and received a degree in Biology. She attended the Finch University of Health Sciences/The Chicago Medical School and also received a Master's degree in Physiology. She then returned to California for her residency training in Pediatrics and Pediatric Neurology at UCLA. During her training, she specialized in seeing and managing patients with autism and neuro-developmental disorders under the mentorship of Sarah Spence, MD, PhD. She was also an active participant in the AGRE (Autism Genetic Resource Exchange) project for several years as she travelled throughout the state visiting and evaluating families with multiple autistic children. She continued her interest in autism and neurodevelopment in private practice while still being an active member of the UCLA faculty. Currently, she heads the Autism Epilepsy Clinic at the UCLA Santa Monica offices. She is also the Medical Director at Pediatric Minds Medical Center/the Early Childhood Treatment Center in Torrance, California. This is a unique program where intensive early intervention services are provided to children ages 2-6 years in a multi-disciplinary setting who have autism and other neuro-developmental disorders. The services provided include speech therapy, behavioral therapies and neuro-psychological testing. She is also involved in multiple research projects about autism including Autism genetics, autism and epilepsy, and autism interventions. 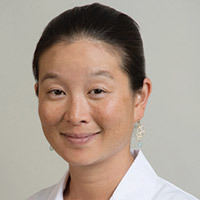 Joyce Y. Wu, MD is an Associate Professor of Pediatrics, in the Division of Pediatric Neurology at the David Geffen School of Medicine at UCLA. 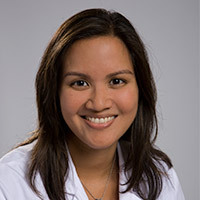 She is a pediatric neurologist and pediatric epileptologist, with a special interest in pediatric epilepsy surgery, including tuberous sclerosis complex. 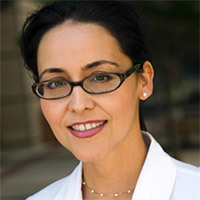 She directs the UCLA Tuberous Sclerosis Complex Program. 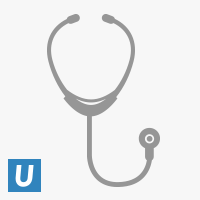 Dr. Wu is a graduate of the University of California, Berkeley with a bachelor's degree in Biochemistry. She obtained her MD from the New York University School of Medicine. She trained in pediatrics at the Boston City Hospital and in pediatric neurology at the Tufts Floating Hospital, both in Boston, MA. Upon completion of a 2-year pediatric epilepsy fellowship at UCLA, she stayed on as faculty ever since. Her research involves mapping the epileptogenic zone in children with intractable epilepsy. Initially this research focused on magnetoencephalography and its use in pediatric epilepsy surgery, including tuberous sclerosis complex, one of the more challenging subgroups of children with medically refractory epilepsy. More recently, she has undertaken high frequency oscillations research and the localizing value of this particular biomarker of the epileptogenic zone in children. Dr. Wu has been funded by the National Institutes of Health, initially with a K23 training grant from the National Institute of Neurological Disorders and Stroke, and more recently with a R01 individual grant along with project grants from NINDS. In addition, Dr. Wu has also been funded by the National Institute of Mental Health, the Congressionally Directed Medical Research Programs/Department of Defense, Tuberous Sclerosis Alliance, as well as Novartis Pharmaceutical Inc.-sponsored clinical trials. Dr. Wu is a member of the Professional Advisory Board of the Tuberous Sclerosis Alliance, and is a founding member of the Tuberous Sclerosis Complex Clinical Research Consortium. She is a member of an active pediatric epilepsy program at UCLA that is internationally well known for many advances in pediatric epilepsy surgery.